The summer is fading fast, the leaves are falling, and as we find ourselves on the precipice of Autumn, a whole new chapter of flavours has opened up before us. This is the time that game birds begin appearing on menus, Autumn mushrooms are in abundance, and pumpkins begin to ripen. With its spectacular larder of foraged goods, Autumn is the perfect time to indulge in languid strolls through the woods or the leafy commons of south London. Mushrooms of the wild variety come into their own in this leafy season, with ceps (porcini), black trompettes and of course the luxurious Autumn truffle all making a welcome appearance and packing a punch in simple risottos or pasta dishes for the shorter days. If you have not discovered cobnuts, I suggest you do! They are plentiful in Autumn, and can be foraged in the wild or bought at great food markets such as Borough. 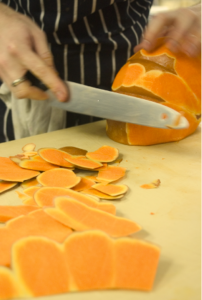 The gem of the season has to be the pumpkin in terms of versatility and unique flavour. There really is only one variety that cuts it with me and that is the French, large, squat versions which have a pronounced ribbed outer skin. These dark orange almost terracotta looking squashes, are great for pumpkin soup and of course pumpkin pie. If you can afford to spend the time, puree them for a delicious pre winter savoury risotto, with a little sage and pecorino cheese to finish. Along with its foraging bounty, October also brings us into the start of the game season, and with it we find that grouse, one of the most popular game birds, has truly come into its prime. The benefits of sourcing game meats during the peak season are endless. Every year, I find myself highly anticipating the incredible variation of birds, the varying flavour profiles and the different methods of cookery required to get the best out of them. We celebrate that choice and variety on the menu at Trinity during game season — as much of the rest of the year can be fairly limiting protein-wise. Every year, during game season, we offer a dish in the restaurant called ‘game daily’. This allows us to buy small quantities of freshly shot game from a number of people we know that shoot on both driven and rough shoots. 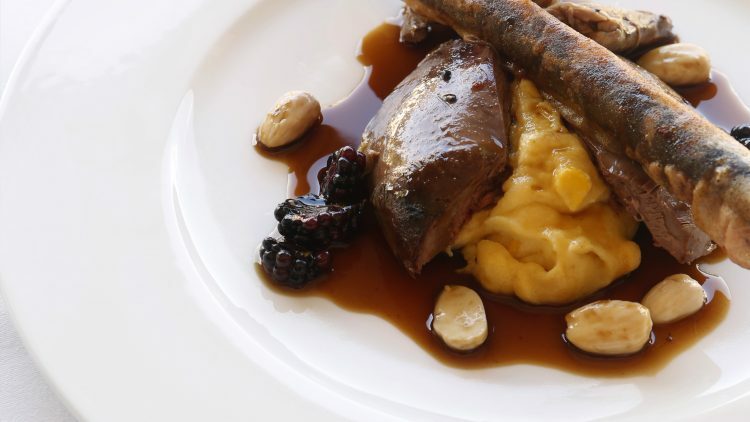 I always offer roast long legged grouse during the game season, served simply with its own offal, white polenta, blackberries and cobnuts — and tend to run this until the main season kicks in throughout October. This is often the most popular dish on our menu throughout Autumn. Grouse are available from M Moen & Sons in Clapham SW4 (http://moen.co.uk/) ,and wild game can be sourced online at Everleigh Farm Shop (http://www.everleighfarmshop.co.uk/). 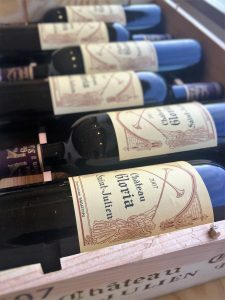 When looking to pair your game with wines, especially grouse, I recommend a bold Bordeaux such as a Trinity favourite – Château Gloria, 2007 from St Julien. A very good claret from a not so great year and is drinking beautifully now, think brambles, cigars and fallen leaves… all the things you want in Autumn!